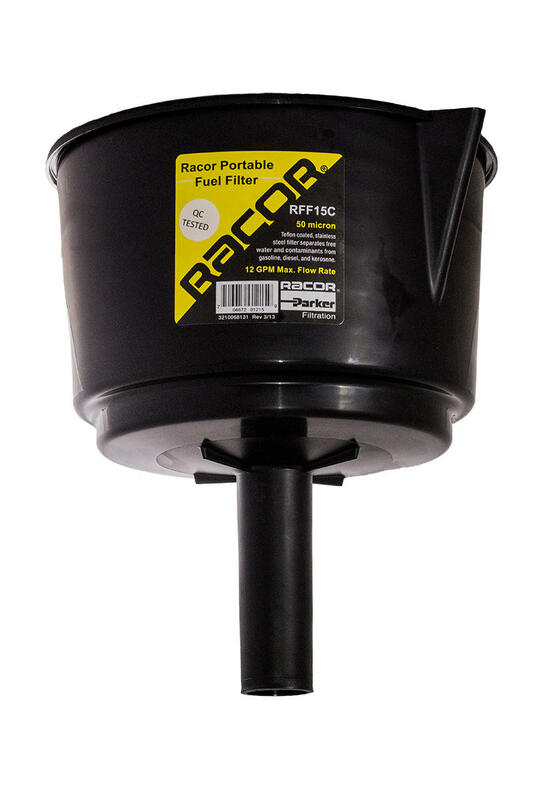 The Racor Filter Funnel (RFF) family is a new heavy-duty, fast-flow, filterin-a-funnel that separates damaging free water and contaminates from gasoline, diesel, heating oil, and kerosene. 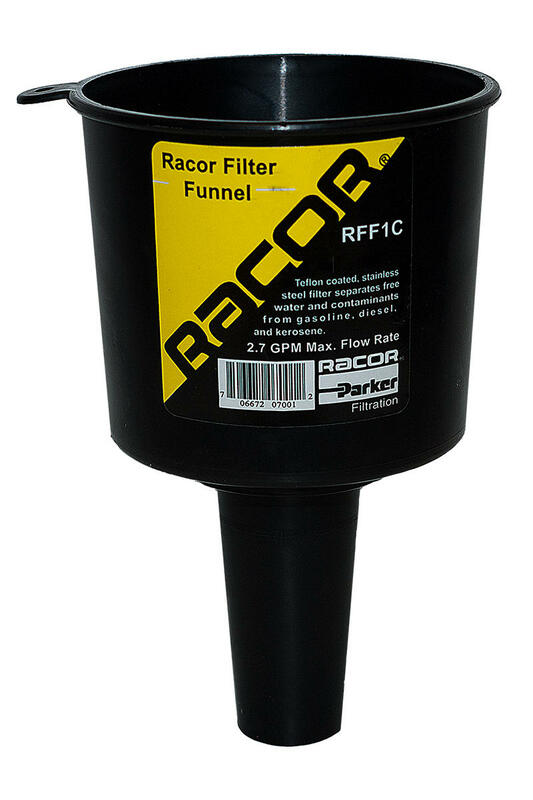 RFF funnels are capable of removing free water and solids down to 50 micron and allows you to visually inspect the integrity of your fuel supply as you refuel. Dirt and water are practically unavoidable in stored fuel, causing microbial growth, corrosive acids, electrolysis, and rust. These contaminants can plug filters, corrode components, decrease efficient combustion, and can cause engine shutdown or system failure. 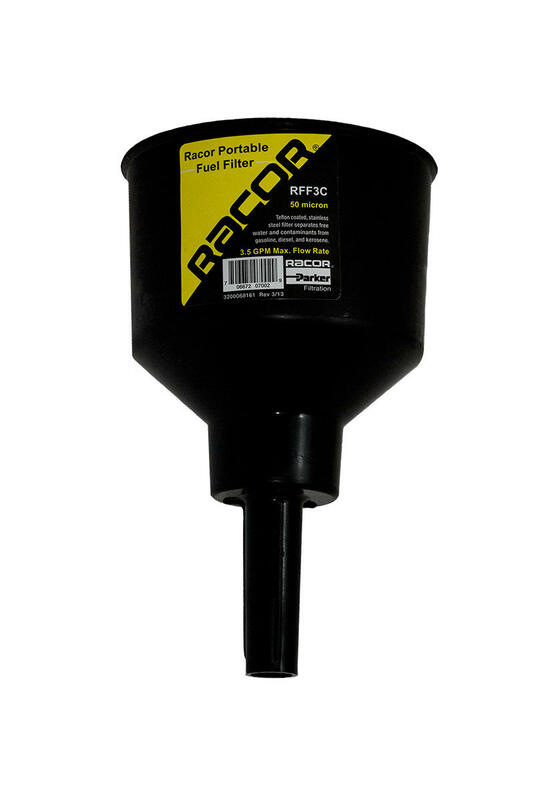 Great for refueling lawn mowers, chain saws, snow machines, ATVs, power generators, boat motors, PWCs, RVs, helicopters, motorcycles, etc. 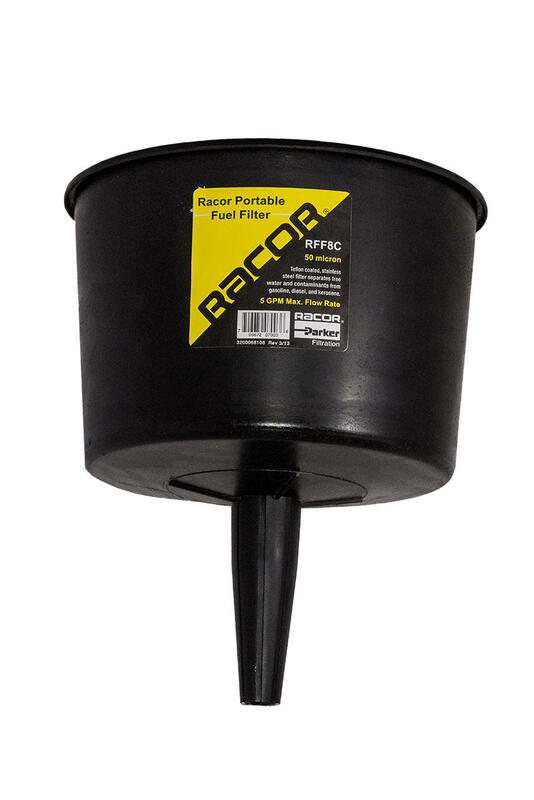 Racor filter funnels are for people who need clean dry fuel on the go.